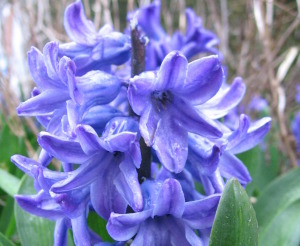 The Hyacinth project comes to an end with two workshops in Spain where CIDAUT participated very actively. A clean revolution is quietly taking place on Europe’s roads and hydrogen fuel cells can be part of this change. There has recently been a significant leap in terms of technology, cost and infrastructure and it seems this trend will continue over the coming years. In this context, infrastructure development plays a crucial role in the deployment of clean mobility solutions. 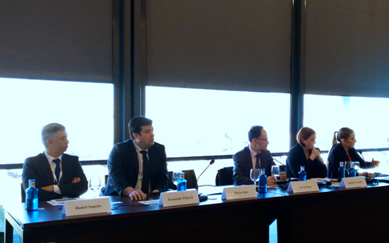 Last March, there have been several opportunities to discuss about hydrogen and the transport sector and CIDAUT participated actively on them. What’s the current state of public awareness and acceptance of Hydrogen Energy and Technologies in Europe? What kind of fears is associated with Fuel Cell and Hydrogen technologies to date? The latest HYACINTH progress meeting was held at Aberdeen (UK) in October 5th, 2016. During the meeting, each Work Package Leader summarized the results obtained, deliverables and milestones achieved. HYACINTH Project is gaining knowledge on social acceptance of Fuel Cell and Hydrogen (FCH) applications among general public and key stakeholders across Europe. Within the last months, the main focus has been on data collection via questionnaires and interviews in the targeted countries (Belgium, Norway, Germany, France, United Kingdom, Slovenia and Spain). These data are being used to examine awareness, familiarity, perception of benefits and costs, global attitude and acceptance of FCH technologies. Partners of the HYACINTH project (Hydrogen Acceptance in the Transition Phase) met at the FCH-JU premises in Brussels to review the work done during the first project period. During the project meeting each Work Package (WP) leader presented the current status and results of their activities and the integration with subsequent project WPs was discussed. In the Mid-Term review, the risks and areas of improvement were discussed together with the Project Officer and external experts.